What we hear from some of our families is that their children “feel” younger than they are, and gravitate towards younger children, or are more drawn to adults than peers. It can be hard for them to “share” conversation; they may divulge too much personal information, or have difficulty finding interests in common. They may have trouble joining their classmates in play. They often lack a sense of how to be a good host when having friends over (controlling the play, etc). Boys may take things too far, getting too rough or out of control. Girls may be clingy or bossy. Children may not get invited to play-dates or parties, and may lack a good friend. 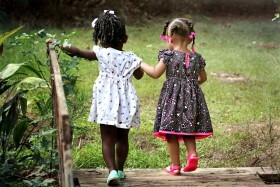 Childhood friendship problems is a topic that raises strong feelings in many adults. I don’t know anyone that had a perfectly socially successful childhood, and just reading the previous paragraph can bring up memories of loneliness and rejection. When we see our children having such difficulties it’s truly challenging to stay present and clear-minded about what’s going on. But it is important to find a balance of appropriate concern and involvement. Blaming the peer group, assuming things will be better in another school, or otherwise neglecting the issue isn’t helpful; neither is overreacting, anxious hovering in social situations, or trying to bribe or force other children to include your child. Interestingly, “popular” as derived from peer ratings is not the same as just asking who’s popular. The “sociometrically popular” kids are well-liked, good problem-solvers, and trustworthy - a good friend. The “popular kids” are actually seen as dominant and “stuck-up”. Neglected children may be shy or less motivated to join peers; they seem do well academically, and can start over in new groups and shed the “neglected” status. Controversial children are sociable but tend to use more social aggression and hostility; this also may not be a very stable category over time. But the “rejected” group is the most concerning. Children with rejected status in one group tend to be rejected in new groups as well. Without intervention, they are likely to stay rejected over time, and are more likely to have later difficulties with delinquency and adult maladjustment. Children who are classified by observers as socially withdrawn, plus rejected by peers (thus, not withdrawn by choice), are more likely to have internalizing problems like depression and anxiety. There are two sub-groupings of boys who are “rejected”: rejected plus aggressive (verbal aggression, rule-breaking, etc), and rejected with odd, immature, or “quirky” behaviors. The rejected-aggressive boys are more likely to have academic difficulties and ADHD. Girls have rates of rejection similar to that of boys, but are a lot less likely to be referred to social skills interventions; it may be that rejected boys stand out more and have more externalizing behaviors, while rejected girls have fewer overt problem behaviors. Social skills interventions for children do exist that have been well-studied, and show measurable improvements in parent and teacher ratings of social success. One such intervention is Children’s Friendship Training, which was developed at UCLA. 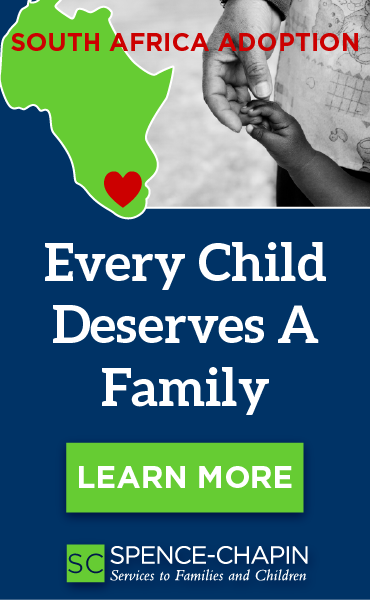 Some of their work has specifically looked at children with ADHD, ODD (oppositional-defiant disorder), ASD (autistic spectrum disorders), and even FAS (fetal alcohol syndrome). I like this approach, as they’ve evaluated it with the types of problems my patients have, they have a rigorous approach to testing their program in general, and they include an important parent educational component which helps the gains children make in group generalize to the rest of their lives. Your child's school may have a social skills group, and in the Seattle area there are several excellent private practice social skills interventions. Julian Davies, MD is one of three pediatricians specializing in adoption medicine at the Center for Adoption Medicine in Seattle, Washington. He, along with Julia Bledsoe, MD and Cynthia Kertesz, MD, perform pre-adoption consultations by telephone with families adopting from abroad or domestically.